A great morning was had at the Tri Harder reliability ride. We set off at 7:15am from the Sandboy, Maciej and I wondered how our legs would hold up to 90 miles after not riding all winter. Luckily we had a Carl and Kersten to share the wind with (cheers guys). 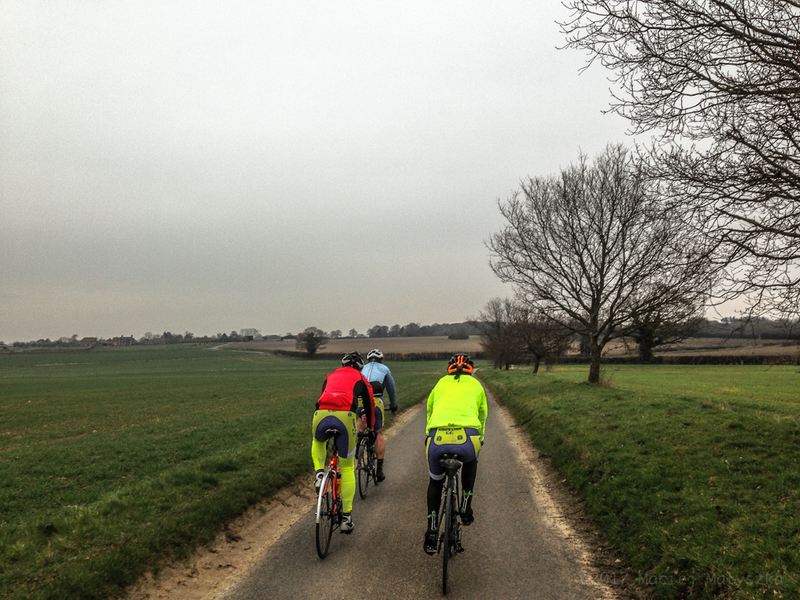 We rode a nice steadypace watching the skies for the forecasted rain which didn’t appear. After a quick coffee at the Tri-harder shop and signing on we were joined by Ali. We let all the other riders get a head start before the chase started. It wasn’t long before we past a few groups and picked up a nice guy on a fixie who was a bit lost, before stopping to take a few photos.